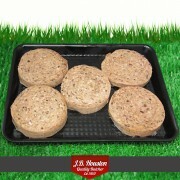 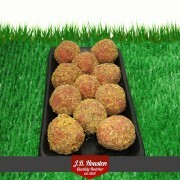 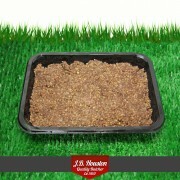 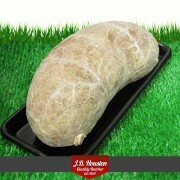 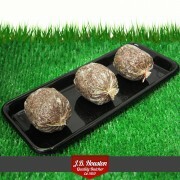 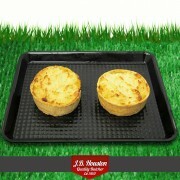 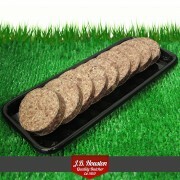 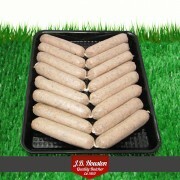 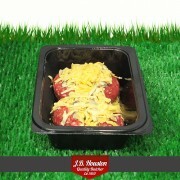 JB Houston's multi award winning traditional Scottish Haggis, our own unique recipe using the finest ingredients. 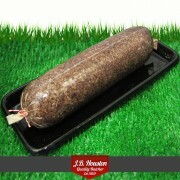 Houston Haggis Chieftain minimum weight 3000g J.B. Houston's multi award winning traditional H..
Houston award winning Haggis bung per bung minimum weight 500g J.B. Houston's multi award winn..
Houston's award winning Haggis Tube minimum weight 1700g J.B. Houston's multi award winning tr..
Houston Haggis Hagglets per pack each - minimum weight 240g J.B. Houston's multi award winning..
Highland Chicken Breast Fillet pack per fillet - 220g The finest British chicken breast&n..
Houston Haggis Sliced per slice - minimum weight 60g J.B. Houston's multi award winning tradit..
Houston Haggis Truffles Pack of 2 - minimum weight 300g Produced with J.B.Houston's multi awar..
Houston Haggis Burns Truffles Pack of 4 - minimum weight 220g Produced with J.B. Houston'..
Houston, Haggis, Lasagne minimum weight 650g Produced with J.B. Houston's multi award winning ..
Houston Haggis Pie minimum order quantity 2 Produced with J.B. Houston's multi award winning t..
Pork and Haggis Sausage Packed of 6 - minimum weight 250g Our meaty pork haggis sausages ..
Pork and Haggis Round Sausage Sliced Per Slice - 90g Our meaty pork and haggis sausages are ma.. 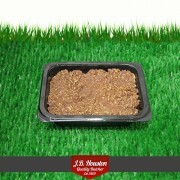 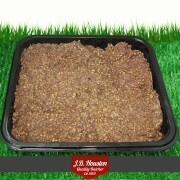 Beef Haggis Olives each - minimum weight 100g The thinnest steak wrapped around a tasty haggis.. 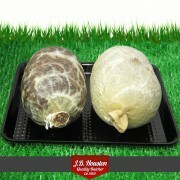 Beef Haggis Lorne Sliced Minimum weight 70g per slice Traditional lorne sausage with our own m..
Houston Haggis Large Tray minimum weight 1.5kg - 1500g For 8 - 10 people J.B. Housto..
Houston Haggis Family Tray 1000g - For 4 - 6 people J.B. Houston's multi award winning ..
Houston Haggis Tray for 2 500g - For 2 - 3 people J.B. Houston's multi award winning tra..